In the past when a student turned in the paper copy of their essay, story, report, or project, it was common for their teacher to pull out a red pen to provide handwritten feedback on the pages of the student's work. Feedback is a critical part of the learning process, providing helpful information on strengths, weaknesses, and guidance for improvement. 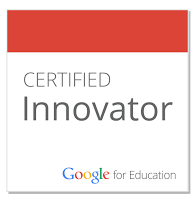 Now with tools such as Google Docs and Classroom, it is easy for students to create and submit their work digitally. So how does a teacher leave feedback on an electronic document? As we move from paper and pencil to Docs and digital, we need options for providing feedback that is valuable to the student, but not cumbersome and unnatural for the teacher to create. See below for details on each of these options, as well as a slideshow and one-hour training video where each method is demonstrated. One of the simplest ways to provide feedback to a student is with text comments. 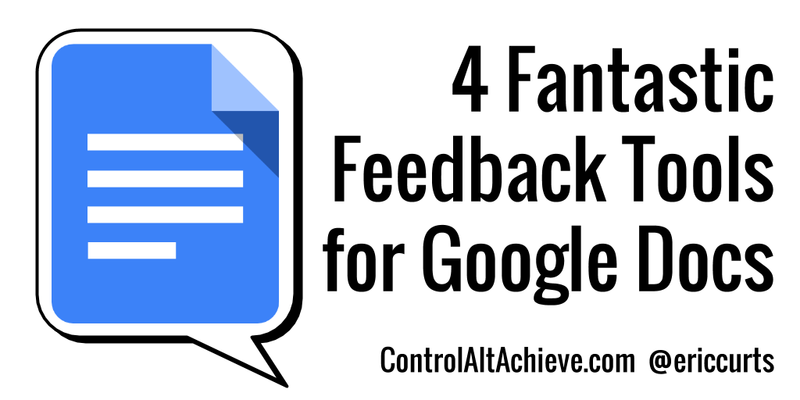 Text feedback can be added to a Google Doc by using the built-in Insert Comment feature. Simply select the text you want to leave feedback for. Next click “Add a comment” button that pops up to the right of the document. Or press Ctrl-Alt-M if you prefer keyboard shortcuts. Or click “Insert” then “Comment” in the top men bar. Enter your text and then click “Comment” to leave the feedback in the right margin of the document. 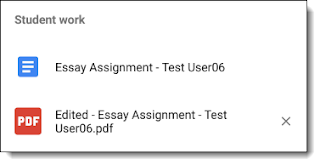 Besides just text, you can also enter hyperlinks in the comment to connect the student with a helpful video or instructional site. Student can reply to your comment by clicking on it, allowing a conversion back and forth. If you are all done with a comment, you can click on the comment and then click “Resolve” to hide it. All of the comments for a document can be seen later by clicking the “Comments” button in the top right corner of the screen. The next step beyond text comments would be voice feedback where you record your voice and attach that as a playable comment in the document. 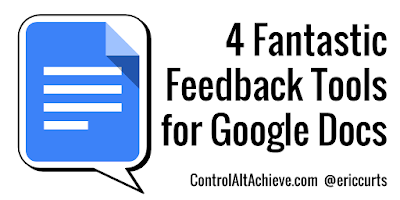 This can make the feedback more personal since it is your own voice, and may even be faster and easier for you as a teacher since you are just talking instead of typing. 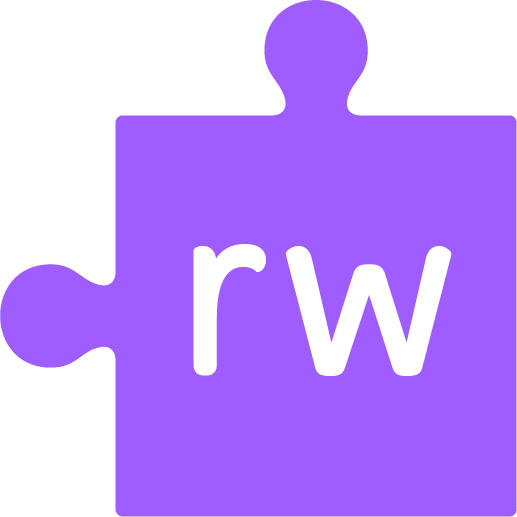 One of the easiest easiest way to add voice comments to a Google Doc is with the Read&Write for Google Chrome web extension. The extension provides you with a toolbar that has many features, one of which is the “Voice Note” feature that allows you to record spoken feedback for the document. Note: Because this is a Chrome Extensions, you need to be using Chrome on a PC, Mac, or Chromebook to be able to use this tool. Click the Read&Write button to pull down the toolbar. Now select the text you want to leave a voice comment for. From the Read&Write toolbar click the "Voice Note" button (on the right end of the buttons). This will open a tool where you can click the microphone button to record your voice for up to 1 minute. When done, click the stop button, and then “Insert” to add your recorded comment to the document. Repeat as needed to add as many voice comments as desired. Your recording can now be heard by clicking the play button in the comment. Note: Your students do not need the Read&Write extension installed to be able to hear the recorded voice comments. You can add another dimension by recording video feedback for your students. Instead of just hearing your voice, the student can watch a video of your scrolling through their document, highlighting different sections, and narrating your comments about their work. Record your screen, webcam, and voice. Record up to 10 minutes at a time for free. Save the video to Google Drive. The first time you go to use Screencastify it will ask for needed permissions, and will ask where to save your videos. 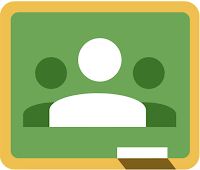 I recommend having the videos saved to Google Drive since you have unlimited storage in Google Apps for Education and the videos are easy to share with your students. Bring up the Doc you want to create a feedback video for. Select the "Tab" option or "Desktop" option depending on how much of the screen you want to record. Select your microphone from the menu. 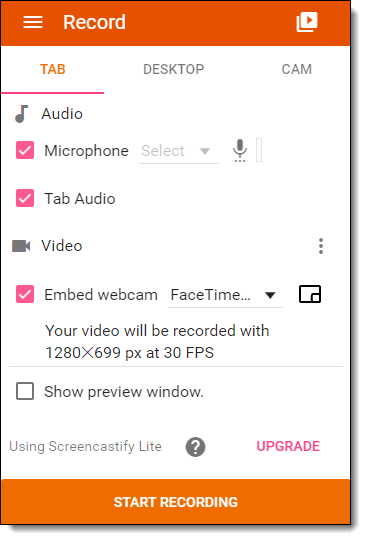 Choose to embed your webcam if you want (a small video from your webcam will be placed in the corner of the recording). Now speak your feedback as you scroll through the Doc, while Screencastify records everything on the screen and everything you say. 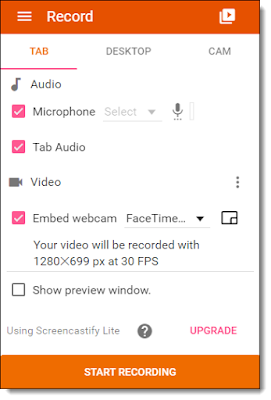 When done click the Screencastify extension again and click “End Recording”. You will now see the recorded video to review if you wish. Give the video a relevant name by clicking on the title in the top left of the screen. Next click Google Drive "Copy Link" icon in the top right corner of the screen to share the video and copy the link. The link to the video can now be pasted into the Doc for the student to click and watch your video feedback. One final option for providing feedback is basically the digital version of the traditional red pen. Using the Google Classroom mobile app it is possible to add handwritten annotations to your students’ Google Docs. This makes it possible for teachers to circles words, draw in proofreading marks, use different colors, and hand write comments right onto the Doc. Note: Because this is a mobile app you will need to run it on your Android or iOS phone or tablet, or on your Chromebook if you have one of the models that allows you to run Android apps. 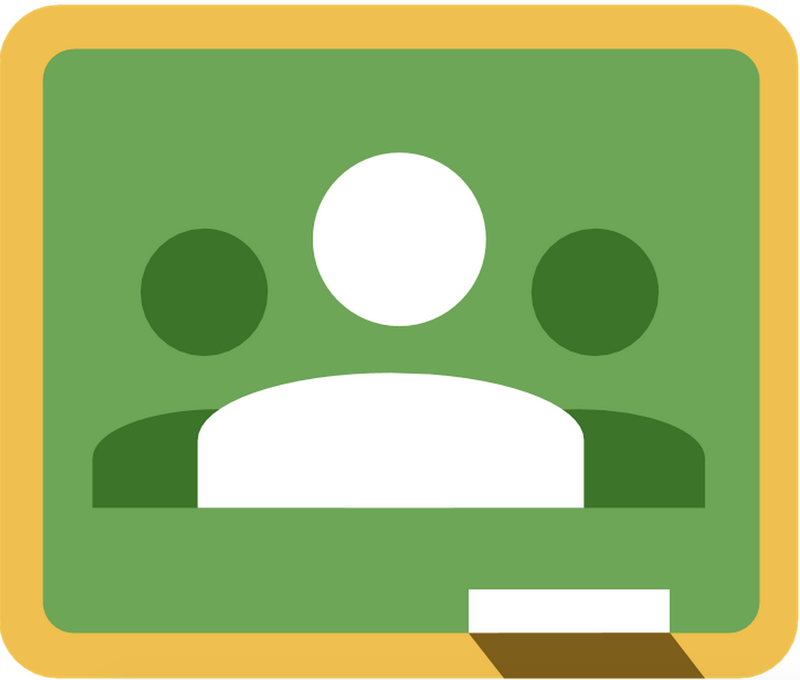 First you need to begin by installing the Google Classroom mobile app for Android or iOS. From the Classroom mobile app, open the student’s Google Doc. Click the pencil icon in the top right corner to switch to annotation mode. Use the tools at the bottom to hand write on the Document. These tools include a pen, marker, and highlighter. Each of the writing tools can have different colors and thicknesses selected. There is also an eraser tool to remove annotations, as well as a selection tool to move annotations. As needed you can use two fingers to pinch and zoom in the Document to move around. When done making your annotations, click the save icon in the top right of the Classroom app. A PDF will be created showing the content of the original Doc along with the handwritten notes you have made. If needed you can add more handwritten annotations by opening the PDF and going back into edit mode. 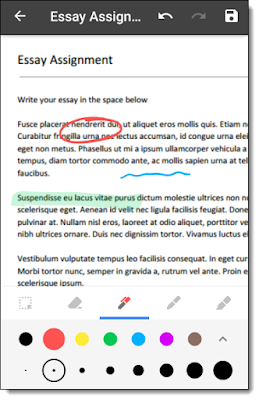 The student will be able to open the PDF through Classroom to see your handwritten comments. Going digital may mean setting aside the red pen, but it certainly does not mean giving up feedback. 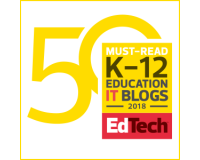 In fact, with the tools mentioned above teachers have more options than ever to provide feedback that is personal, informative, and engaging. What other tools have you used to create and share feedback with students? Share your ideas in the comments section below. Great post, Eric! Thanks for sharing! Question for you about voice comments with Read & Write for Google. We have a district subscription, so I know that we can use voice commenting with kids. I wondered about schools who only have the free version for students. I realize teachers are eligible for a free premium account, just wanted to clarify if voice commenting works even when kids have only free accounts. 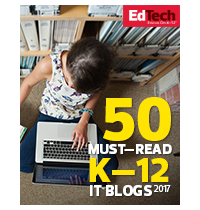 Yes, students can play back the voice comments even if they do not have the Read&Write extension installed. They just click the link in the comment box and the recorded audio opens up in a new tab and plays. Great. Thanks Eric. I'm also really enjoying Goobric for Students. Have you tried it yet? Muchísimas gracias. Creo que es una herramienta que de verdad vale la pena implementar en mis clases. 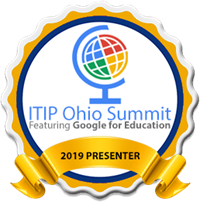 Eric, thank you so much for these valuable tools, and I loved your presentation of them. I didn't know you could annotate in Google Classroom's mobile app--This will be my newly suggested tool for the teachers in my district! Many thanks! Joe Zoo is a pretty nifty add-on for giving feedback, scoring rubrics, and it even has a beta version of grammar and mechanics mistakes data. I agree about JoeZoo. Excellent add-on for Docs! Fantastic Job as always Eric!!!! Thanks! So great to hear from you!! Great information--thanks, Eric. I'm teaching English at a community college and our students use Google Drive/Docs but we don't have GAFE/Classroom. Is the handwriting option only available with the Classroom mobile app? If so, do you know of other Google-compatible apps that do something similar? I love the idea of being able to provide text, audio, and handwritten feedback without creating a new file that I have to re-share with the student writer. Great post, Eric! 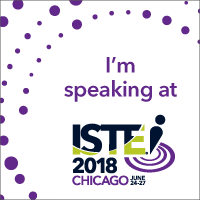 I might try video for eportfolio feedback. As always Eric, I very much appreciate your sharing and practical, thorough directions. 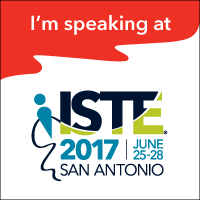 I'll be sharing your resources with many teachers! Thanks for all the great resources. 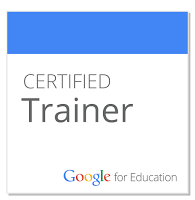 It doesn't seem like the link to register Read&Write as a teacher is working anymore? 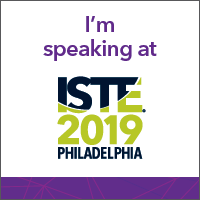 I am attending your ISTE session on Tuesday...this stuff is so helpful for me as a middle school ELA teacher! Thank you for everything! Great information Eric. You are clear like crystal. I follow you on Twitter.